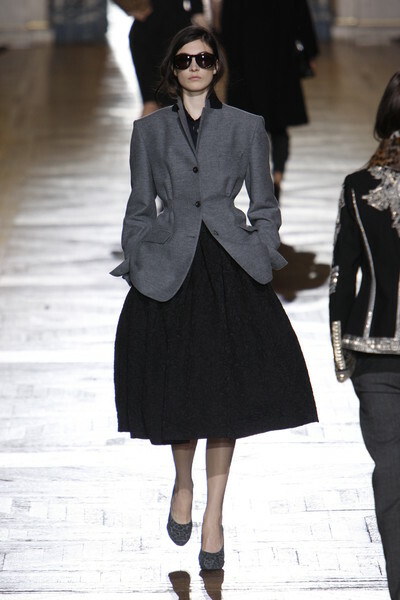 It was a different setting and a different collection at Dries van Noten. 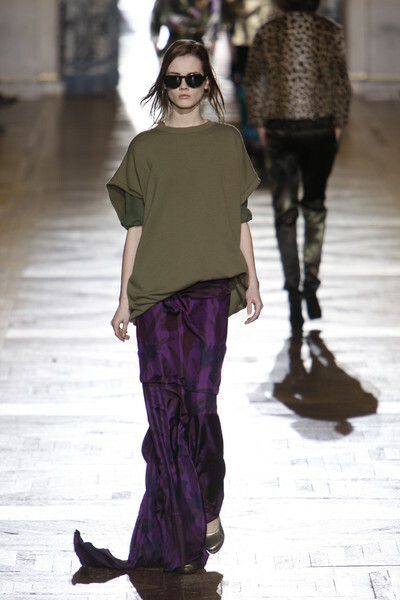 Especially after his colorful mix & match of east & west this spring, and the show he held in an empty and stripped bank. 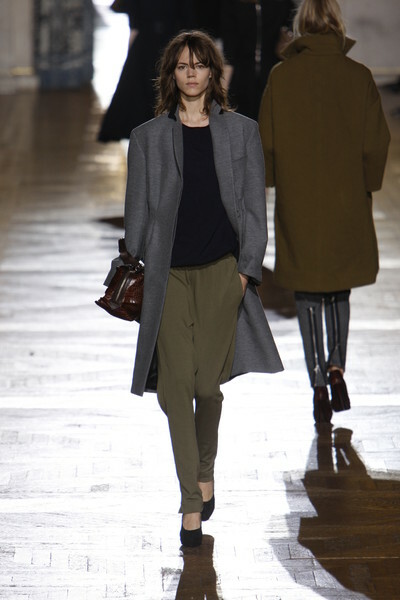 His casual/elegant fall/winter collection was presented in one of the gilded salons of the Hotel de Ville. Malcolm Mclaren did the soundtrack: sweet and classical with angry singing. 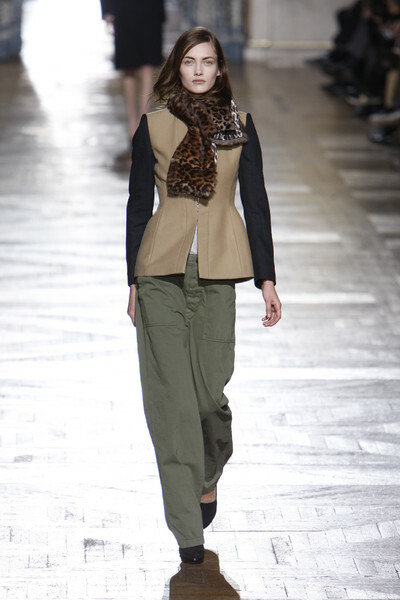 Army green became elegant and feminine when used in tailored skirts, pants and sleeveless trench-like coats. Gray popped up in tailored jackets, big sweaters and dresses. 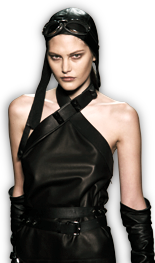 The hourglass silhouette was also present here, thanks to the full skirts. 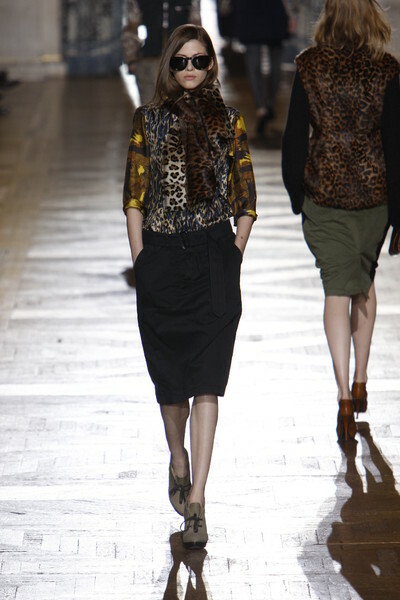 The realist floral prints (in red, blue and green), men’s inspired jackets and animal prints gave it just that rebel feeling. But also because it looked like these women just put their outfit together without thinking too much about the effect and result. This was how they felt and how sthey wanted to look. Beautiful. Casual. Sensual. Original. Femine.